A water valve in the street, at the end of the driveway to 29,29a,29b,29c & 29d Birdwood Ave, appears to be leaking. 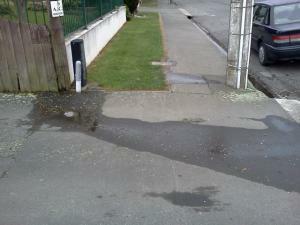 There is also a leak from a water meter further north along the footpath (outside 47 Birdwood Ave). Both started leaking following the recent earthquakes.